Ridder will serve as Branch President of Clear Channel’s outdoor billboard division and be responsible for more than 11,000 outdoor displays in Chicago. Ridder moved to San Luis Obispo in 2000 to serve as publisher of the Tribune, a newspaper then owned by the Knight-Ridder Company out of San Jose. He was quickly promoted and offered the plum assignment of taking over the Knight-Ridder newspaper in St. Paul, Minn. Controversy later erupted when Ridder abruptly bolted from the St. Paul Pioneer Press for its arch-rival the Minneapolis Tribune. Ridder was accused of taking confidential Pioneer Press financial documents with him and a massive lawsuit resulted. The Minneapolis Tribune was rumored to spend as much as $11.5 million defending Ridder in court. Ridder was forced to step down from the Minneapolis Tribune in 2007. The new position with Clear Channel will be his first job since that incident. Clear Channel, itself no stranger to controversy, owned a cluster of radio stations in San Luis Obispo and Santa Maria before selling them to El Dorado Broadcasters in 2007. How could he possibly be hired with a rep like that? Oh – it was the Blago look that put him over the top? Yes, the face says much. Please get rid of this article as the face drives me away from the CCN page. 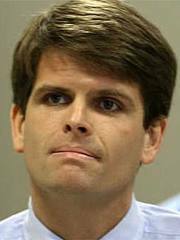 The Blagojevich similarity is real, another cretin with influence. 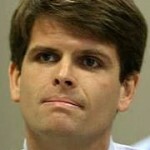 not sure whether it’s the soul-less stare, the Blago coif or the bloodless lips that bother me more. No matter, it’s all an illusion of consciousness. Anyone else get a Blagojevich vibe from this photo? CalCoastNews is Media… Par Ridder is a media guy who has ties to the central coast. No harm though, as this will certainly be of interest to all the media followers in SLO. What’s wrong with insurance agents??? Par Ridder and Knight Ridder… Quickly promoted by Knight Ridder…..Incompetent in SLO and a turncoat in Minnesota. A spoiled rich kid……just what clear channel needs.